Parking a Painful Science? Not With a Lab on the Sidewalk! One of the most pressing issues that people living in the city face is travel based. While being at the heart of any city provides opportunities both professionally and for recreation. Trying to get parked in the first place can be one of the most considerable problems that people face daily. But with automation making its way into countless facets of technology and travel, it’s only reasonable that it benefit us here. Some of the first tricks from an automatic car was the ability to park and parallel park with ease. This has become more than science, with Sidewalk Labs visualisation tool, allowing drivers to see parking spaces near them. It even allows users to choose where and how they want to park. As a resident of London, trying to find a place to park your car feels like a day of work on its own. According to Sidewalk Labs, Alphabet’s smart city thinktank, their recently developed company Coord, has revolutionised urban travel once again. Formed on February this year, Coord developed a traffic congestion software. Allowing users to get up-to-date information on traffic flow, preventing avoidable traffic jams and optimising traffic. For the residents of San Francisco, the company has released its new parking software, called ‘Curb Explorer’. As a programme, users are able to find parking specific to their needs. 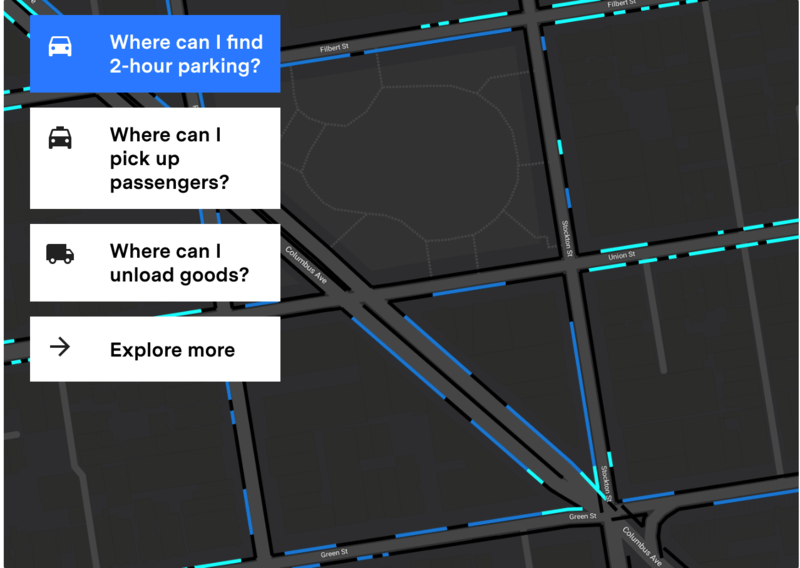 Offering users to find parking over varying time-frames to van-drivers seeking delivery friendly areas.